"Buy" it now, keep it forever. 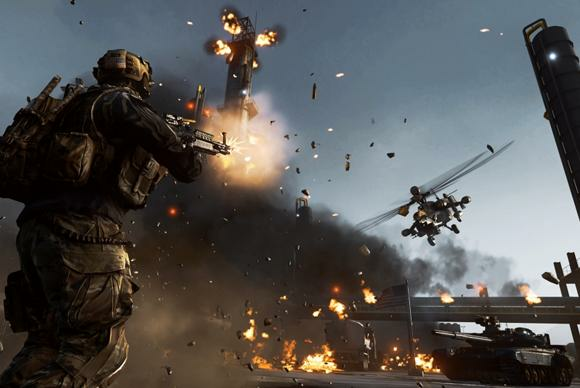 Good things come to those who wait—and, in this case, “good things” means “All five packs of Battlefield 4 DLC, for free.” That’s right, all of it. Each pack has been given away separately at some point in the past, but with Battlefield 1 releasing next month, DICE and EA have made it easy on everyone and thrown all the deals together—but only for a short time. Grab them by Monday, September 19 if you want them. You need the base copy of the game too, naturally. It’s a pretty great deal. Despite a rocky launch back in 2013 (Who remembers the servers crashing every time someone took down the skyscraper on Siege of Shangai?) it’s since turned itself around and I’d now count it among the best in the long-running series. At the very least, it’s been good enough to survive the releases of both Battlefield: Hardline and Star Wars Battlefront, with its community holding out for a true successor. In other words, this is a very different situation than EA’s other giveaway—the Titanfall DLC. That was a desperate move to sustain the game’s withering multiplayer community. This is an act of (seeming) generosity, as DICE releases what it considers a true successor. We’ll have a more detailed review of Battlefield 1 next month—hopefully it avoids DICE’s typical launch woes. But in the meantime, you can head to Origin to pick up your freebies. Not a bad way to tide you over.